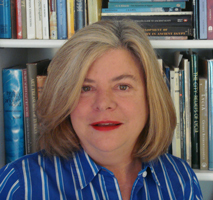 A professor of ancient art history and a classical archaeologist for thirty years, Archaeological Institute of America lecturer and host Jenifer Neils is an expert on the ancient Mediterranean. She holds the Elsie B. Smith Chair of Classics at Case Western Reserve University in Cleveland, and regularly teaches courses on the art and archaeology of the ancient world from the Bronze Age to Late Antiquity. She has been a visiting professor at the University of California at Berkeley and Johns Hopkins University. As a field archaeologist Professor Neils has participated in excavations in Etruria and Sicily, Italy, as well as in northern Greece, and has published material from both Etruscan and Greek sites. She has held fellowships at the American School of Classical Studies at Athens, the American Academy in Rome, the J. Paul Getty Research Center, and the Paul Mellon Center for British Art at Yale. As a museum curator Professor Neils has organized or co-organized two highly-acclaimed international loan exhibitions of Greek art, one dealing with the worship of Athena in Athens (“Goddess and Polis”), and a second on childhood in antiquity (“Coming of Age in Ancient Greece"). She has also written a dozen books ranging from the history of ceramics to the Parthenon. Her latest are The British Museum Concise Introduction to Ancient Greece and Women in the Ancient World, both for the British Museum. Professor Neils currently serves as the Chair of the Managing Committee of the American School of Classical Studies at Athens. During the 2011-12 academic year she was the Joukowsky Lecturer for the AIA. An indefatigable traveler, Professor Neils has served as study leader for over a dozen trips to ancient sites throughout the Mediterranean and the Middle East.